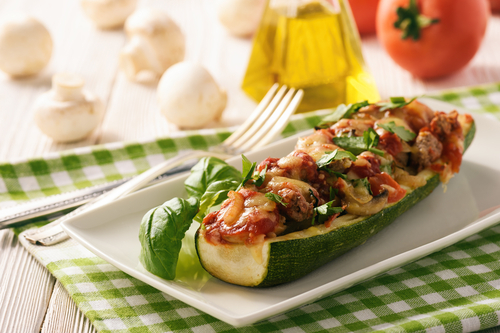 Zucchini is a very popular summer food among health nuts, which has been the case for thousands of years. Zucchini is one of the oldest cultivated plants on the planet, with its origin being in South America over 10,000 years ago. Whether you are looking to lose weight, looking for a nutritious food or are just looking for foods you can eat this summer that will keep you hydrated, zucchini is an excellent option. Here are some reasons why you should be adding more zucchini to your plate this summer. 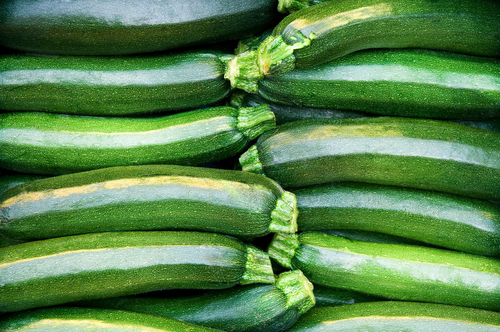 Zucchini and other summer squash varieties have a very high concentration of water and also contain a good amount of fiber, vitamins and minerals. Fiber in particular has been linked to improving cardiovascular health which lowers LDL cholesterol naturally. One particular compound known as pectin found in zucchini has been linked to improved cardiovascular health because of its ability to reduce inflammation. It may be able to protect other diseases causes by inflammation as well as a result such as diabetes and cancer. Another beneficial aspect of zucchini when it comes to heart health is that it can help us to lose weight as well. An excess of weight is a huge risk factor in your chances of heart disease or getting a stroke so zucchini can help us there too. This is related to number one but is definitely worth noting. Potassium is also essential in the maintenance of cardiovascular health because of the role it plays in the regulation of blood pressure. Our blood pressure depends on two main factors: the first being how much water is in the blood, and the second being how much electrolytes we have in the blood. As many of us are aware, high levels of sodium in the blood increase blood pressure, which can lead to strokes, heart attacks and heart disease. Potassium helps to manage this because the sodium in the blood is balanced based on the potassium content. More potassium in the blood means less sodium, and lower blood pressure, which can help reduce risk of cardiovascular issues. Antioxidants are extremely important to our health because they fight against free radicals. Free radicals are dangerous chemicals which can cause harm to the body, and occur from every chemical reaction in our bodies. Free radicals are the source of many diseases including inflammation and various forms of cancer. Zucchini helps to fight against various diseases because of the antioxidants it contains. It is most rich in vitamins A and C, which are used for more than just fighting disease by the body. Vitamin C is essential to the health of connective tissues in the body, including our teeth, hair and nails. Vitamin A on the other hand is important as well. Vitamin A is particularly effective in fighting off disease and is essential in the maintenance of our eye health. One of the leading causes of blindness globally is a deficiency in vitamin A. Seeds from the squash plant have also found to be very effective in boosting immune function as well. Squash seeds, especially seeds from pumpkins are high in zinc, a trace element that is needed to fight off illness and disease by our body. 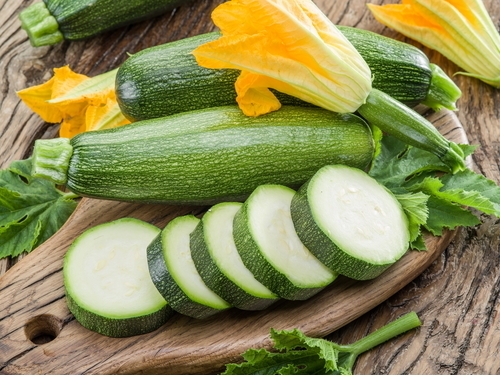 Zucchini and other varieties of squash are often used to treat digestive issues because of their high water content, and that they are also loaded with vitamins and minerals, including electrolytes. Hydration is an extremely important aspect behind good digestive health. Zucchinis also offer anti-inflammatory protection which will help keep your bowel movements more regular also. One of the leading causes of diarrhea is inflammation of the bowels, so if you are suffering through an episode, try to remedy it with some zucchini. Zucchinis can help you if your problem is with too slow of a movement as well. Zucchinis are a great source of fiber along with the water and nutrients, which will help to move the bowel along in that regard. One of the biggest benefits here is that zucchini can help you lose weight. It is the perfect food to do so, it is full of fiber, nutrients and water which come at virtually no cost when calories are concerned. Zucchini is the perfect summer food because it will provide you with a load of necessary vitamins and minerals you need without you having to worry about counting calories.